The Van Dorn Metro Station blue and yellow lines are tucked into Rose Hill, just outside incorporated Alexandria and a short commute from Arlington and Washington, D.C. The convenience of the area is unmatched: The subway stops just steps from Van Dorn Metro apartments, meaning commute time is significantly shorter than it would be in the other nearby cities. In fact, it only takes 7 minutes to get to Downtown Alexandria on the blue or yellow line and less than 30 minutes to Downtown D.C. on the blue line. Residents can avoid traffic completely and instead settle into the subway commute with a good book and latte. The Van Dorn Metro station itself opened in 1991, which added plenty of convenience to the Rose Hill area. However, there are other transit routes for residents to choose from when the Metro isn’t the best option. 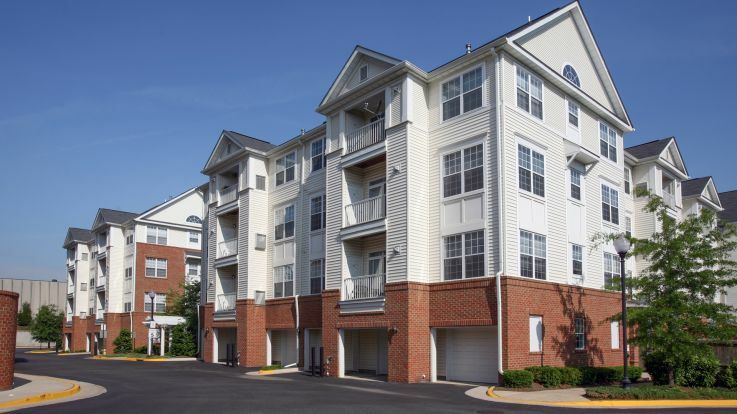 Nearby I-395, I-95 and I-495 make car commutes a breeze, and DASH, Fairfax Connector and Metrobus connections are all steps from Van Dorn Metro apartments, so riders can simply leave their cars parked at home and head all over the area without having to worry about traffic. Rose Hill locals and residents living in Van Dorn Metro apartments don’t have to travel into bigger cities for dining and entertainment options. Enjoy dinner and drinks at Savio’s Italian Restaurant and Bar, pick up dinner at Satay Sarinah Restaurant after a long day in the office, or kick back with a cold one and listen to live country tunes at Nick’s Nightclub. Landmark Mall is just a short drive down the road and includes big-name stores like Macy’s and Sears, or you can hop on the Metro and scout out the locally owned businesses and galleries along the blue and yellow lines. Whether you’re looking for hidden gems or the bright lights of the big city, this unincorporated corner of Alexandria truly has it all.